E-Way bill has been made mandatory for all of the states by the government of the county as a part of GST, the new taxation system. This is one of the must to have document as per section 68 of GST to carry the consignment costing more than Rupees 50000 beyond the state borders. Now, it is also needed for the intra-state consignments in most of the states. Here are some of the basic but important information about E-Way bill. What is E way Bill? Let us start with this very first question of what is e way bill. In simple words, E Bill is an Electronic Bill that is required by the person in charge of carrying the consignment that values more than Rupees 50,000. All of the consignment that crosses the state borders without this document makes the violation of the section 36 of GST and have to face the legal consequences. Hence it is important for everyone to have this bill to move the consignment legally. GST with E-Way bill system has said goodbye to check posts in the state borders that made the long queue of vehicles. Now the consignment can move easily to the destination without waiting at the check posts for long hours. It has put an end to several illegal activities related to the transpiration of good with both the offices and concerned persons. The validity period for the E way bill is calculated on the basis of approximate distance that the goods have to transport to the final destination. Hence the exact distance has to be furnished in the invoice to generate the E Way bill. One-day validity for every 100 kilometres is calculated as per GST rules. How to generate the E Way bill? Government had implemented online portal to generate E Way bill. Consignor, consignee or the registered transporter can generate the bill through this portal by making a one-time registration. Once you have registered, you can log in to the portal to create the bill. 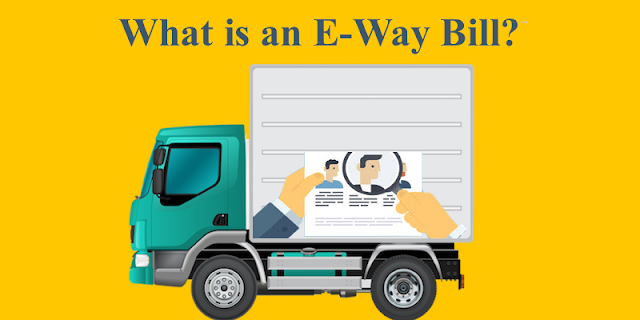 The detailed invoice as per the E Way bill requirements has to be uploaded to the portal to get the E-bill with E Way Bill Number on it. E Way bill once generated can't be modified on edited. But if you have made any mistakes that goes against the GST rules, then you can cancel the bill within 24 hours of generation and can create the new one. Hence it is advised to make the invoice without any of the errors to be free from task of unwanted risks of cancellation and creation of new bills. Now there is software that helps you to create the E way bill that is to be uploaded to the E Way portal to generate the E Way Bill number on it. Thesoftware comes with excellent features including calculation of distance and validity to simplify the process of generating the bills. Hence, it is certainly a good idea to make use of the best E Way bill software to generate the E Way bill without any of the usual errors.